National Geospatial Intelligence Agency director Robert Cardillo sees the North Pole as the future nexus of geopolitical tensions. Almost by definition, the North Pole is not thought of as a global hot spot. It's an area typically only recognized come holiday time. But as the polar ice melts, the Arctic is becoming a nexus of geopolitical tensions, over subjects as diverse as penguins and Ukraine. The National Geospatial Intelligence Agency, a Pentagon division that provides maps to the spy community, is closely monitoring the situation. New transportation routes and energy reserves are rising to the surface. 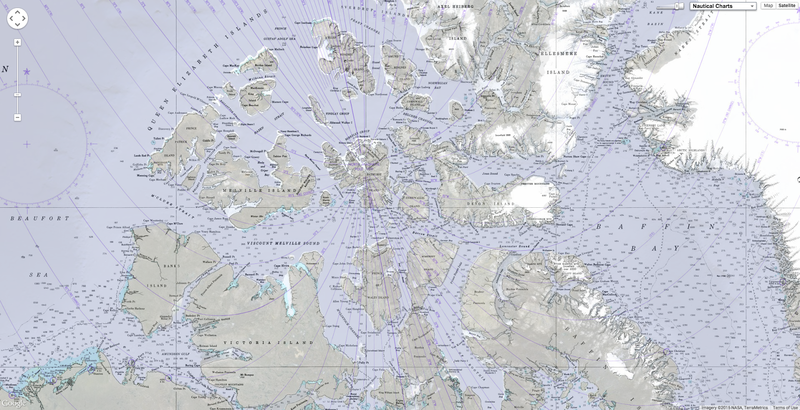 And because all the commotion has economic and not just military ramifications, NGA Director Robert Cardillo sees the Arctic as a place that could bring his agency out into the open. Since taking office last fall, the lifelong intelligence analyst has garnered attention for pulling the curtain off certain geospatial data, such as maps of the Ebola spread. "To me, I think the Arctic is a wonderful place where we should be thinking about our next piece of open code," Cardillo said in a recent interview with Nextgov. " A great deal of what’s known about the Arctic is unclassified. We don’t have a rich history of classified intelligence collection in the Arctic, because -- guess what? -- it wasn’t a priority. 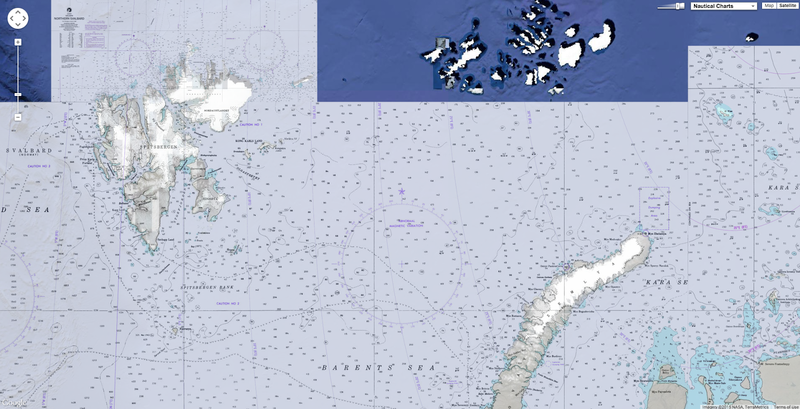 President Barack Obama in a May 2013 Arctic National Strategy outlined "strategic priorities" for the Arctic region, that call for, among other things, a greater awareness of activity in the region as well as charts and scientific research to better understand the landscape. That would include NGA’s geospatial intelligence -- insights derived from pairing satellite imagery with historical data sets. "I’m not going to dive into the, ‘Why is the Arctic warmer than it used to be?' but I know it is," Cardillo said. "And I know there’s less ice up there now, and I know there’s more ship traffic now. I know there’s more potential for natural resource exploitation then there ever has been before. Those facts have driven state actions. Russia, as one of the claimants for the resources and maritime navigation and control, etc., has made decisions based upon those changing facts. Some of those decisions are military based." Some observers compare the situation up North to the 1980s Cold War, no pun intended. "Although Moscow isn’t threatening the West with anything near the number of warplanes deployed by the Soviet Union during the Cold War, its air sorties around Norway have increased dramatically each year since 2007," Jeff Stein wrote in Newsweek last month. Late last year, "military construction crews began refurbishing a string of Cold War-era bases on islands in the Arctic." The United States seems to be preparing for more aggression from Russian President Vladimir Putin. Last year, the Army’s Northern Warfare Training Center in Black Rapids trained 1,300 personnel to maneuver on the frozen ground, Stars and Stripes reported last week. Aside from the potential for tactical clashes, there are disagreements pitting U.S. industrial operators, who are pursuing the Arctic's fossil fuels and new shipping waterways, against U.S. environmentalists, who worry about the ecological risks of drilling. "Underneath all of that is an economic decision," said Cardillo, speaking from inside NGA’s Springfield, Virginia-based headquarters, which is shaped like a giant eyeball lens. It's estimated the Arctic region holds 13 percent of the world’s oil reserves and 30 percent of its natural gas. 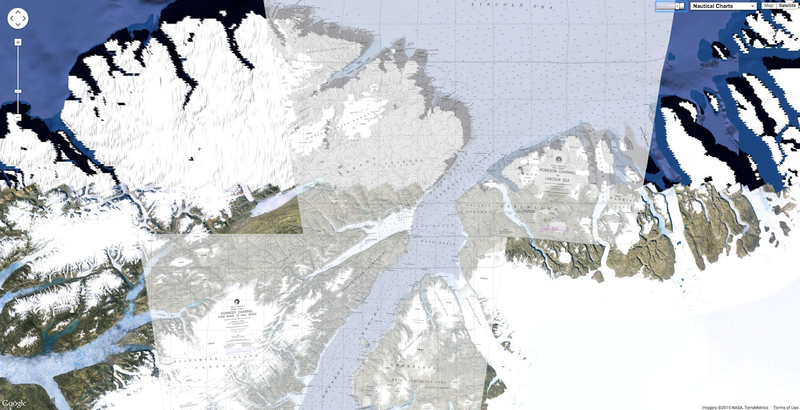 Venues for hosting public geospatial intelligence on the Arctic might include Apple's app store, the code-sharing site GitHub and NGA.mil, where interactive viewing tools are powered by Esri mapping software. The site currently serves up unclassified data sets to aid Ebola relief efforts. NGA’s first app, Anti-Shipping Activity Messages, or ASAM, details incidents of hijacking on the high seas all over the world. The underlying code for the app, which was released last fall, also is available on GitHub. "We’re all in on GitHub. We’re very proud of our page," Cardillo said. "Not that we want to introduce piracy into the Arctic -- but there’s a certain appetite for general situational awareness that I would think we could and should play." While NGA has unique access to panoramas of Russian military construction up north, it remains to be seen whether site locations would be made public. "I’m encouraging our team to create conditions and the context so that our policymakers and decision-makers can have a better footing to think about employment of resources, deployment of diplomatic engagement, potentially, security-related actions, whether it’s just to protect or it’s to project, in some cases we project force throughout the world to ensure safety of navigation, for example," Cardillo said. The Arctic is where allies Canada, the United States, Greenland, Iceland and Norway come in closest proximity to Russia, Military and Aerospace Electronics pointed out earlier this month, in describing several international efforts underway to surveil the region. Among the cutting-edge explorations is the Arctic Earth Observation and Surveillance Technologies program, run by the Research Council of Norway. The Norwegians are trying out new satellite and drone surveillance equipment to better understand environmental changes at the pole. "As the ice retreats, new fishing zones are opening up, and -- most importantly -- so are shipping routes that trim thousands of miles off voyages, saving enormous amounts of time and money" for transporting all kinds of resources, Foreign Policy In Focus researcher Conn Hallinan said this past November. Moscow and Beijing have negotiated a $400 billion oil and gas deal, which China expects will generate Arctic energy development profits and Moscow anticipates will relieve the pangs of Western sanctions over Ukraine fighting. Yes, China and Ukraine have a stake in the land grab, even if they aren't visible on an Arctic map. Cardillo said he likes to show people polar projection maps “because it’s very disconcerting, it destabilizes your mind. 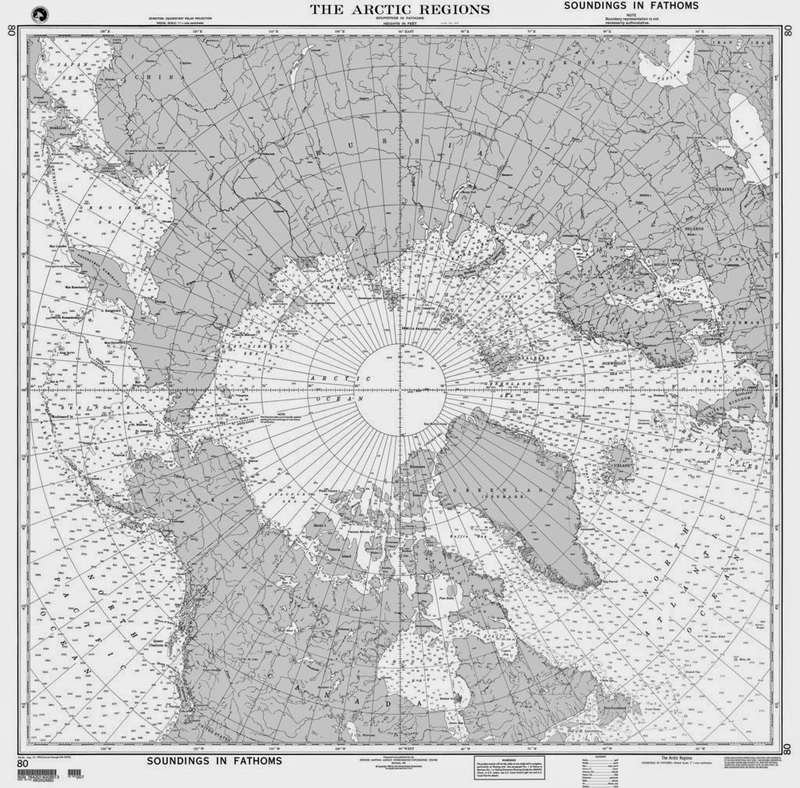 When you look at the North Pole at the center of a projection, it looks very unfamiliar,” he said. At first, gazers say, “’Wait a minute, the United States isn't that tiny. It doesn’t sit on the edge on the Earth like that. We’re at the center of the world.' You get those reactions,” Cardillo said. But they also “clearly see Alaska and Canada and Norway and Russia -- what I like about it is the way it changes your thinking about it." Canadia sailing : Russia’s new cool war?